Welcome to Ethiopia! Stone Age Tours and Travel representatives will receive you on arrival at the Addis Ababa BOLE INTERNATIONAL AIRPORT and transfer to your hotel. 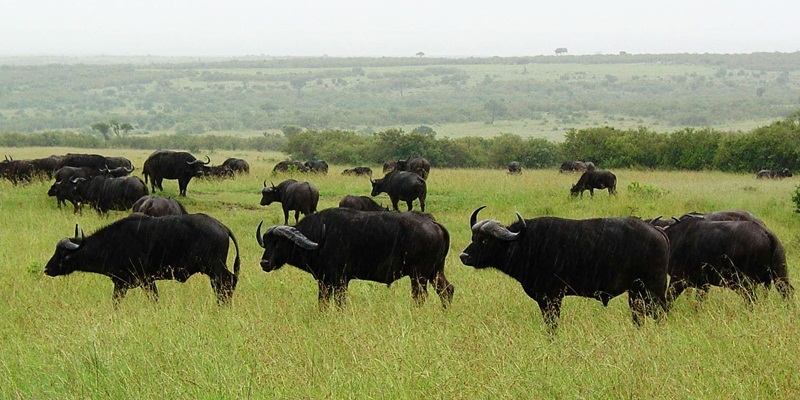 In the morning, you will drive to Abijiata Shalla National Park through the Great Rift Valley Region. On the way, you will visit the rift valley lakes of Koka and Ziway. Have your lunch at the town of Ziway, then drive to Abijiata Shalla National Park to see thousands of Flamingos breed on Lake Shalla the deepest lake in Africa north of the equator with 280 meter and feed on Lake Abijiata. After having breakfast you will drive to Arbaminch, meaning “forty springs” in Amharic. On the way, you will see the magnificent Wolita hut and finally you will drive to Chencha, which is located 40 km from the town of Arbaminch to see the Dorze tribe with their waving culture and bee shaped hut. ARBAMINCH takes its name from the babbling steams that cover the ground water forest occupying the flat of the town. 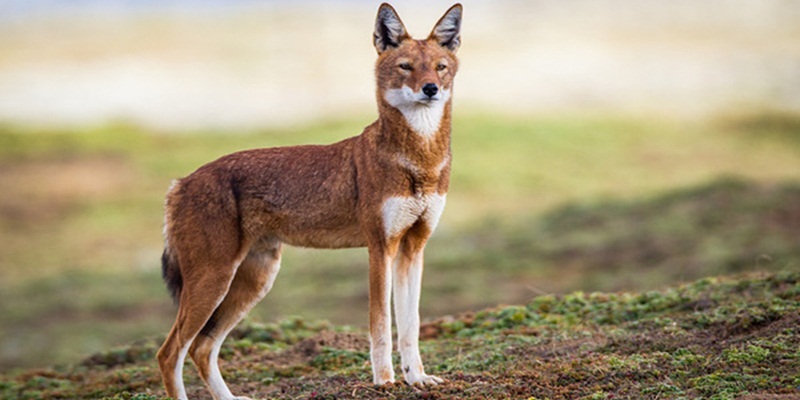 From your hotel, you can enjoy panoramic view of the Netchsar National Park and its bordering rift valley lakes of Abaya and Chamo, an area of outstanding beauty and considered as the Ethiopia’s least great surviving wilderness. 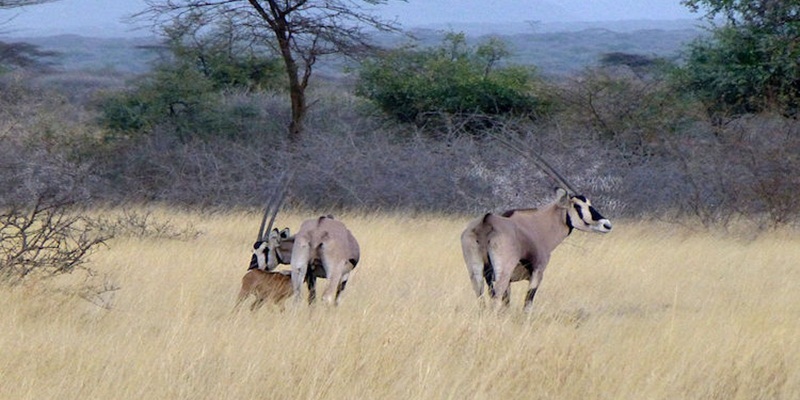 Early morning cross Lake Chamo to visit Nech Sar National Park where you will be able to visit the vast savannah grassland with Zebras, Gazelles, Oryx and Swaynes Hartebeest. 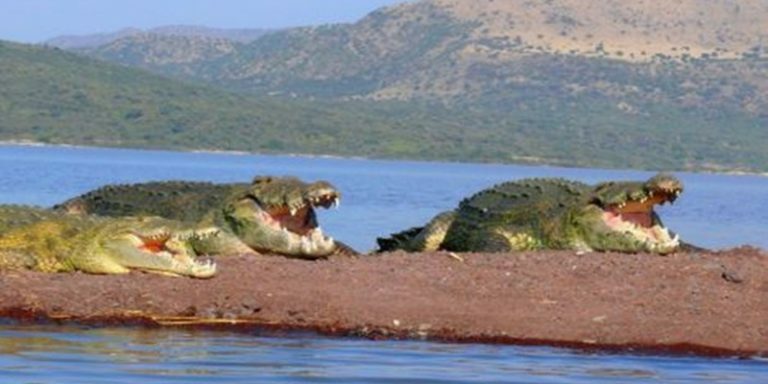 Have picnic lunch and return back to Arbaminch, en route, in the afternoon you will be able to see Crocodiles, Hippos and Pelicans as well. After breakfast leave Arbaminch and drive to Turmi via Konso, have your lunch at Weito continue driving, on the way you will visit the Arbore tribal village. Turmi is going to be our base for the next two nights as we explore the different regions and meet different tribes, who live a life of their own. This day will be dedicated to the Dasench/Geleb people; who inhabited in the bank of Omo River and we cross the Omo River by locally made boat to see the village. In the morning drive to Jinka via Dimeka and Key Afer, if the day is Thursday, on the way you will visit the colorful Key Afer market, which is attended by the Benna, Ari and Tsemai ethnic groups. Today you will make excursion tour to Mago National park to see and appreciate the very attractive culture of Mursi tribe. They are renowned for the strange custom pursued by their women, who on reaching maturity, have their lower lips pierced and pop in a “terra cotta” (circular clay disc). In the morning leave Jinka and drive to Yabello, on the way you will visit the Konso tribal village. After breakfast drive to Dublock, an overgrown Borena Village to see the “singing wall”, something looks like forming a chanting human chain to haul buckets of water from the wall offer for their livestock, then we drive to El Sod meaning “Salt House in Orominga” to visit the salt extraction of the Borena people. After breakfast, drive to Wendo Genet. Have stopped at over Dilla for lunch and continue driving to Wendo Genet through the false Banana and some coffee plantations. After check – in to the hotel you will visit the Sidama people with their fascinating culture and also you will have a chance to visit various specious of birds around the village and in the hotel ground too, finally enjoy swimming in the natural hot spring water. JIMMA is located on the Western part of Ethiopia, famous for its best quality of organic coffee and its being the birthplace of Coffee Arabica. Along this way, you will visit the archaeological site of Melka Kunture, the 12th century Rock Hewn Church of Adadi Mariam and the Stelea field at Tiya. MELKA KUNTURE: is best known for the numerous Stone Age tools aging 1.7 million years, remains of Homo erectus 600,000 years old, which the earliest humans left behind and fossilized bones of Hippo, Rhino, Elephant and different antelopes have been unearthed. TIYA where 36 prehistoric monoliths or steles are found, 80 km from the capital. 30 of them are decorated with carving. This historically significant place dates back to 12th to 15th century AD and registered as a world site by UNESCO. After an early breakfast head to Bebeka, through tropical rain forest visiting wild coffee, the colorful primate Gureza monkey dwelling on forest and you will visit the Wushwush tea plantation. Full day visit the near by villages of the Surma people. It is possible to arrange Donga with a common agreement with tourists. Donga, it is a stick fight in which two contestants painted in white chalk paste pummel each other violently with heavily two-meter long poles. Morning leave Kibish, then drive to Tulgit another settlement for the Surma people. This will be our final stay with the Surma ethnic group, and then head to Bebeka for overnight stay. After an early breakfast drive back to Jimma, through tropical rain forest visiting wild coffee, the colorful primate Gureza monkey dwelling on forest and you will visit the Wushwush tea plantation. Morning after breakfast you will visit the Museum of King Abba Jiffar, was the last, charismatic, powerful and exceptionally tall king. 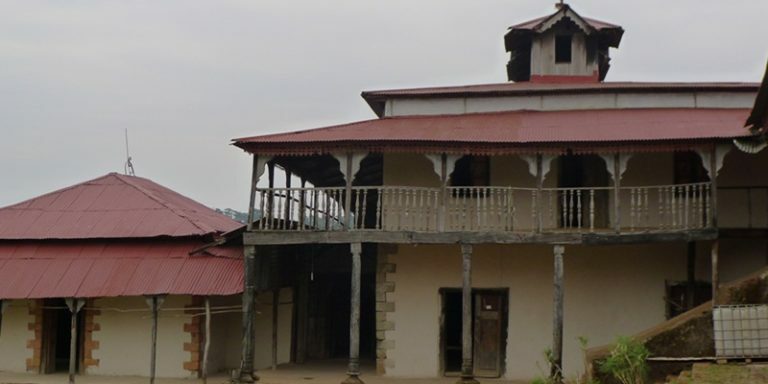 In this Museum you will see a selection of the personal property of the king are housed along with some ethnographic displays relating to the Oromo, the largest ethnic group of Ethiopia and other local cultures, then we continue driving to Addis. In the evening Stone Age Tours and Travel will invite you a farewell dinner party in one of the Traditional Ethiopian Restaurants with the traditional music and dances from the different ethnic groups, then you will be transferred to Bole International Airport to fly back home. 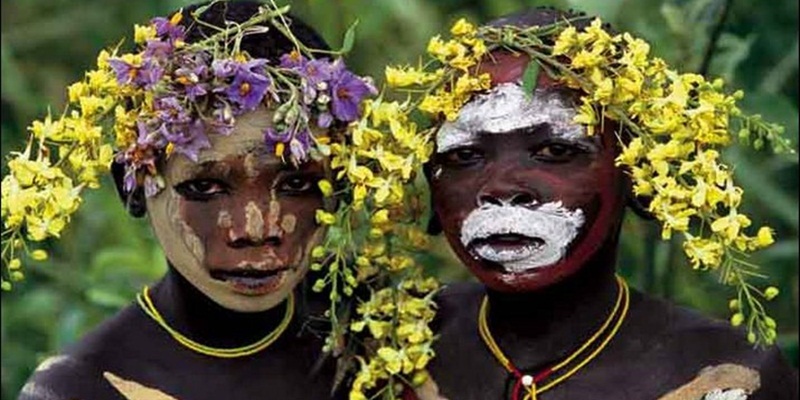 The Lower Omo is land of a remarkable mix of small ethnic groups with unique cultures! They live almost without the current global civilization & technology.